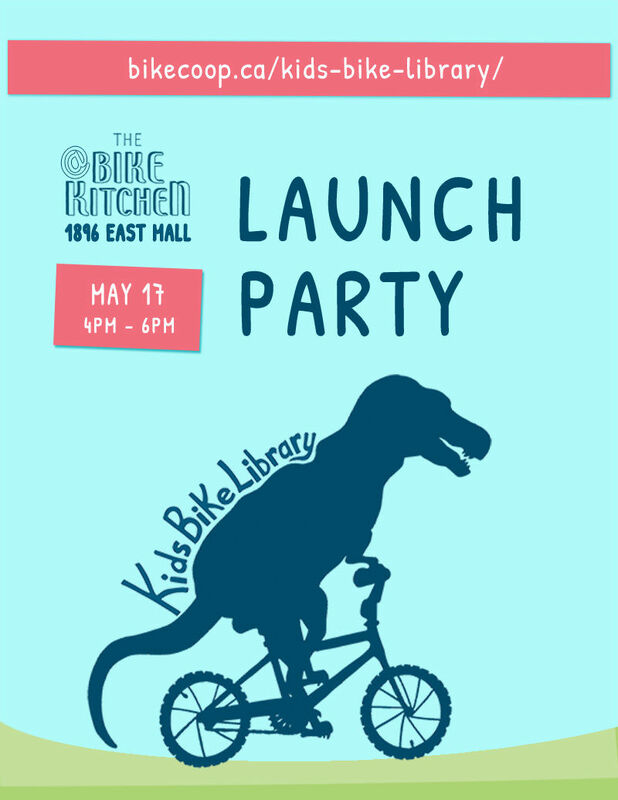 As of May 17th, the Kids Bike Library (KBL) will run out of The Bike Kitchen on Wednesdays from 10am – 6pm with free tune-ups for kids bikes from 4pm – 6pm. - free ice cream, thanks to Earnest Ice Cream! The KBL is similar to a regular library, but with bikes! On Wednesdays, kids and youth can come trade a bike they have outgrown for one their size (includes bikes with 20” wheels or smaller). Unlike a regular library, you can keep the bike for as long as you need it without having to worry about renewing. Access to the Kids Bike Library is free for AMS Bike Co-op members. * Don’t have a bike? No problem! We also provide bikes to children and youth by-donation, even if you don’t have one to swap. If you’re interested in swapping a kids bike, just bring it to the Bike Kitchen from 10am – 6pm on Wednesdays and ask about the Kids Bike Library.